News from José Conde, Director of Stark-Conde wines is that yesterday we started crushing the first grapes of the 2018 harvest. This year is the 20th year of Stark-Condé Wines. Stark-Condé Wines is pleased to announce the appointment of assistant winemaker, Rudger van Wyk, to the position of Winemaker. Rudger has been with Stark-Condé for over 2 years and has really grown as a leader of the team. These past 2 years he has gained an excellent understanding of our vineyards and of our winemaking style and he has stepped up to the day-to-day role of supervising the cellar staff. Rudger is a George native (on the East Coast) and has a degree in Oenology from Stellenbosch University. He was a Cape Winemakers’ Guild Protegé with apprenticeships at Kanonkop and Nitida and a harvest in Burgundy before joining Stark-Condé. Along with a great palate, he brings a lot of passion to the position — and as you can see by the size of his arms in the photo below, as an ex-Rugby player, he has no problems with the punchdowns, a big plus! 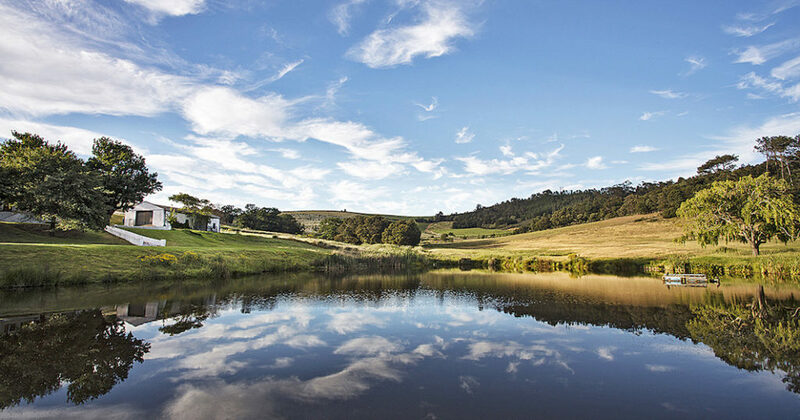 LIEVLAND ESTATE is 110 hectares with 60+ hectares of potential vineyards. Its immediate neighbors are Warwick Estate, Uitkyk Estate, Kanonkop Estate and Le Bonheur Estate. It has a multitude of sites. Its primary soils are made up of the decomposed granite typical of Stellenbosch mountain sites. 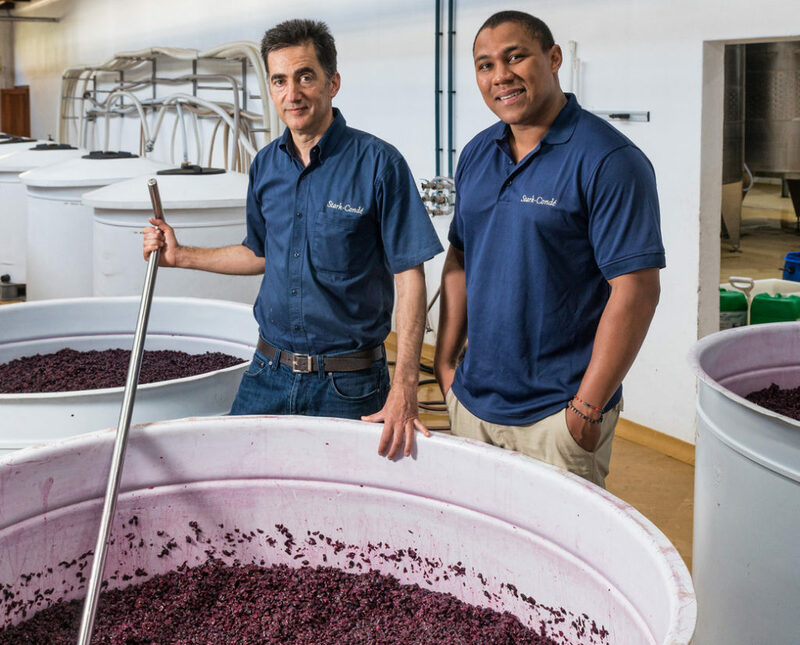 Lievland also boasts several firsts in its history: it was the first private estate to have a woman winemaker and it is believed to be the first estate in the modern Cape era to produce a barrel-fermented Chenin Blanc.